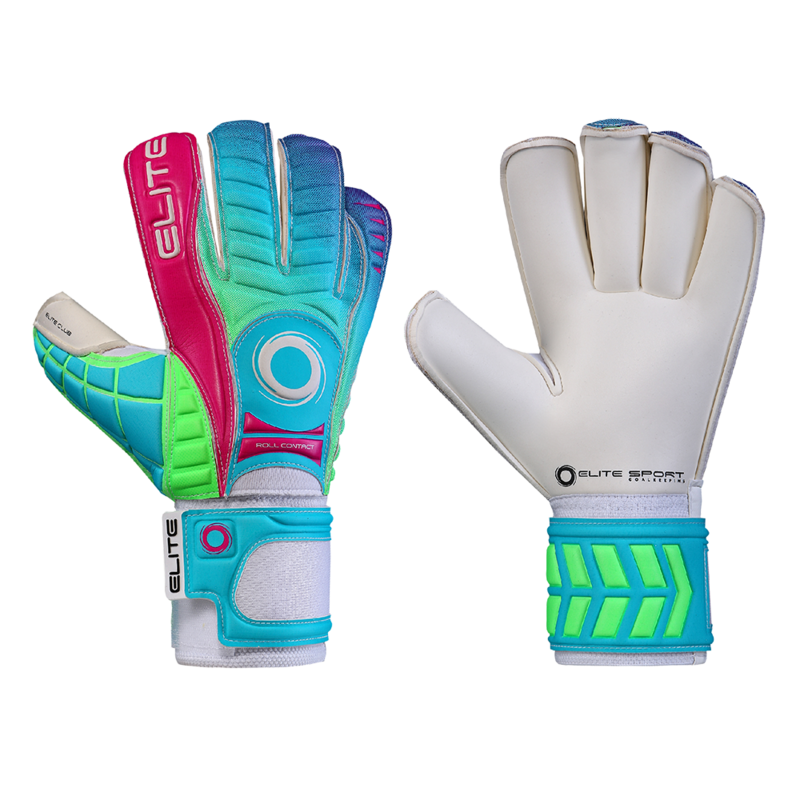 The popular Elite Sport goalie glove for youth and adult goalkeepers received a design update in 2017. Removable fingersaves. The Elite Sport Club features a more durable 4 mm of ELITE SM latex for youth and adult goalkeepers. 4 mm of backing foam produces more comfort and cushioning. Customize the finger protection for Elite Sport glove with removable fingersaves in the fingers and thumb. Helps developing goalies during the catching process by providing support behind the fingers. New design with vibrant blue, green, and red. 4 mm PS latex to increase the durability of the backhand and decrease cost + 5 mm backing foam for comfort. Hi Tech fabric for Air Ventilation Management (AVM) in increase breathability. The Elite Sport USA Club features a classic roll cut with wrapped thumb. Roll cuts allow more latex to ball contact while providing a tighter fit than a flat plam. 10 cm wide elastic wristband and 360 9 cm wide latex wrist strap for comfortable fit. Good option for the junior male and female goalkeepers as well as adult goalkeepers needing adult size 7 and 8. A more durable all weather option but better in dryier conditions. For a 50.00 gloves offers a lot of flexibility for surfaces and conditions. Could be a good game option or high end practice option for soccer goalies that prefer Roll Finger goalkeeper gloves. Call with goalkeeper glove sizing questions. 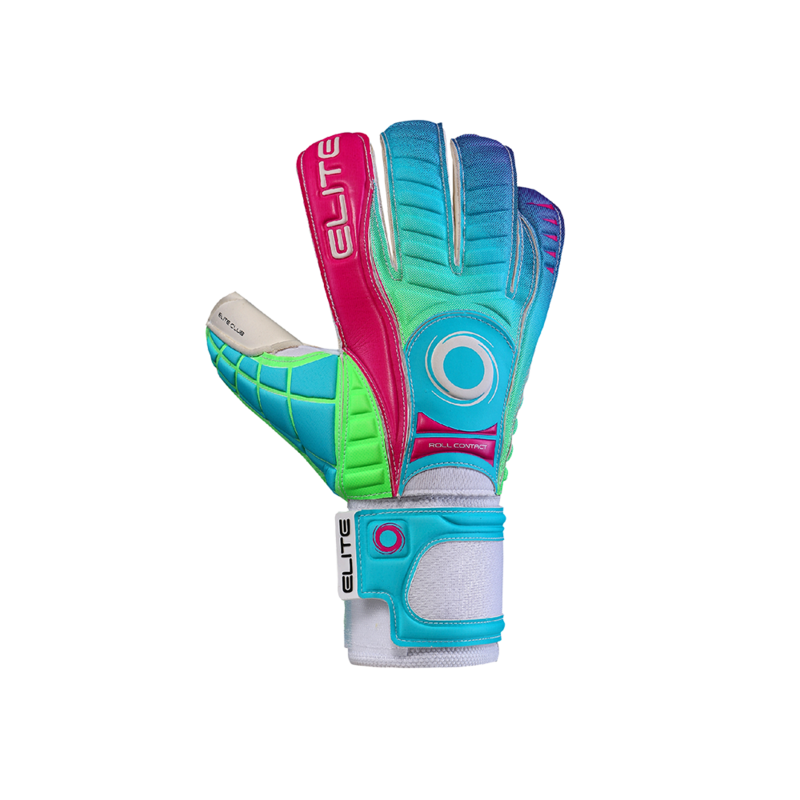 The youth sizes 5 and 6 may fit 1/2 larger than other junior goalkeeper gloves. Great gloves for practices and games. I need to order 1 size up and fits perfectly. It is hard to find 4mm gloves with finger-saves in this price range. I won my first tournament championship in 2018 with ZERO goal conceded. Good quality gloves for a great low price. Size is perfect based on hand measurement. Great padding all around. Worth it. Originally ordered these for my 10 yr old. He is a youth 6 , but his hand is a little wider than could fit in this glove. He was bummed because he really liked the color. We replaced them with the flat palm Azteca style. Customer service is very helpful that way! Thanks Keeperstop! I have been a goalkeeper for about 20 years, and have tried on and played with a multitude of gloves. I have to say by far these are probably one of the best gloves I've purchased. The fit is great, I love the roll control on the fingers, and the latex is superb. I personally prefer the finger save in the glove, but it is nice to have the option to remove them. Overall if you are looking for a quality glove for a decent price look no further! Has a great grip and tight shape. I really love it! Great set of training gloves. 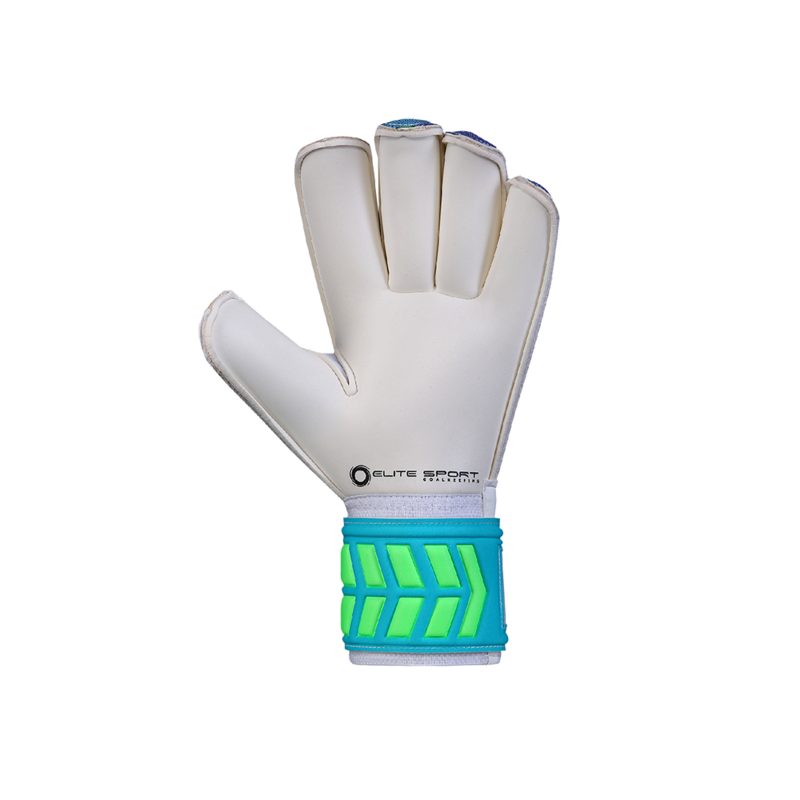 They are really cool and protect your fingers well, and really help to grip the ball and making saves!